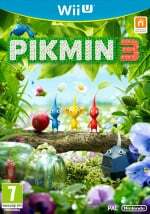 Pikmin 3 Development Going "Extremely Well"
What's up with Pikmin 3? An investor during a recent Q&A session asked Nintendo's Shigeru Miyamoto what he was up to lately with regards to new games. While busy with 3DS things, he acknowledged that he's also been working on a certain previously announced project. Amongst the present promises, I have to finish Pikmin quickly, so production is progressing extremely well. Development of Pikmin 3 was first revealed, somewhat reluctantly, during a journalist Q&A session at E3 2008 with nary a peep on it since. Sweet. I played the NPC version of Pikmin a little, and I definitely saw potential for something amazing. I have never played a Pikmin game. Not sure if I would like one. More playing with colored ants. Ah, but is it Wii or 3DS? Please, Miyamoto-san, just throw me a bone. Just one screenshot is all I ask for! I started getting the shakes four years ago! I believe he mentioned that it was for Wii during a recent interview with IGN. Why nobody asks to Mr. Miyamoto what is up to F-ZERO or Star Fox? I hope it's for the 3DS, but I doubt it. It's been in development for awhile now (almost a year before the 3DS was even announced). Although, Miyamoto did say this: "My basic idea is that the sense of the depth of the game and the simplicity of the control will all be there." 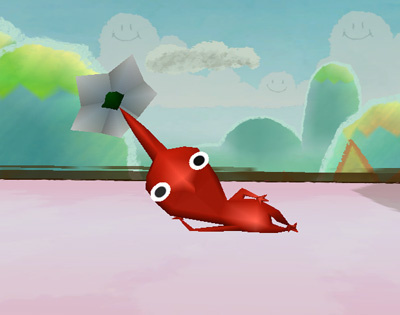 When in the hell is Pikmin 2 NPC going to be releases in NA? I think it would be cool if it came out for the 3DS. Pikmin '3'DS. Get it? I said the same thing about Kingdom Hearts '3'DS. But no, I know it's coming for the Wii. I just hope they make two player battle mode even more awesome. I still play Pikmin 2 for its battle mode. I don't like how he said, "I gotta finish it quickly". I fear the game is gonna feel rushed and won't be as good as the last 2, but the simple fact is, the franchise has lots more potential. I just hope it will be really good and have as much charm as SMG2, because it's one of my favorite nintendo franchises. I unloaded the NPC version of the first game awhile ago, so I'm ready for this one if it delivers the goods. it will definetly not be rushed if its taken this long to even announce NEWS on it. it will definetly not be rushed. anyone else agree? That's good, at least we heard SOMETHING about Pikmin 3. Seriously can't wait for Pikmin 3. Though I hope it won't be rushed. But if it's not it's gonna be awesome!